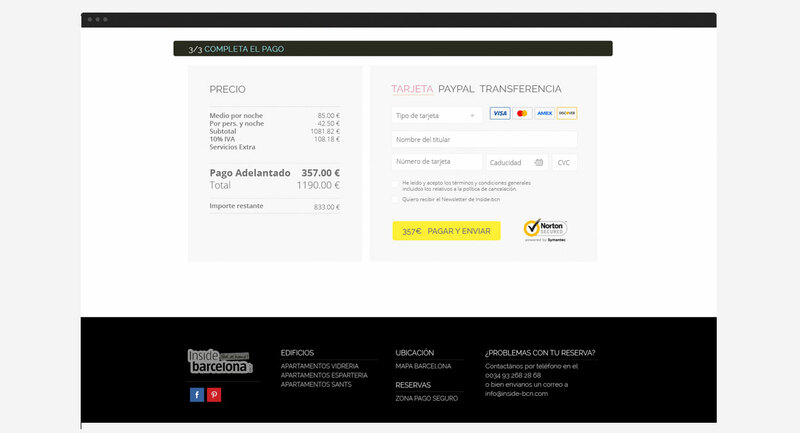 Inside Barcelona is a company focused on short-term tourist apartment rentals. Its founders are two passionate travelers who want to present visitors with an experience that is not conventional. 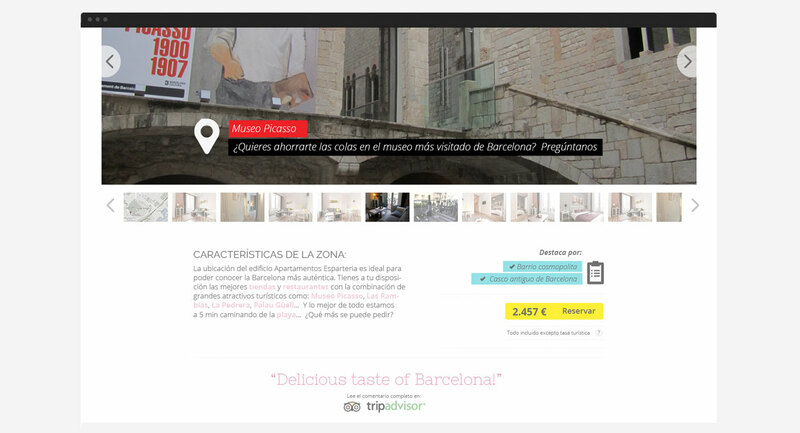 They want guests to feel at home and to experience Barcelona like a local. Our focus was to have the communications materials reflect the warmth of the company’s founders. 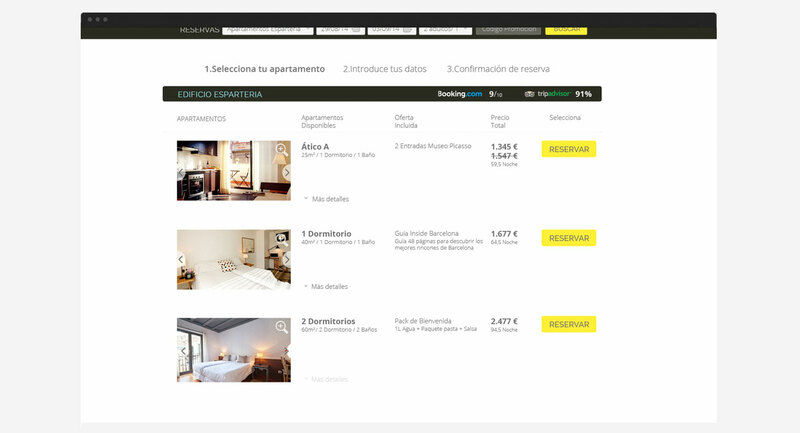 Graphic elements are designed to provide a personalized recommendation based on the type of traveler. 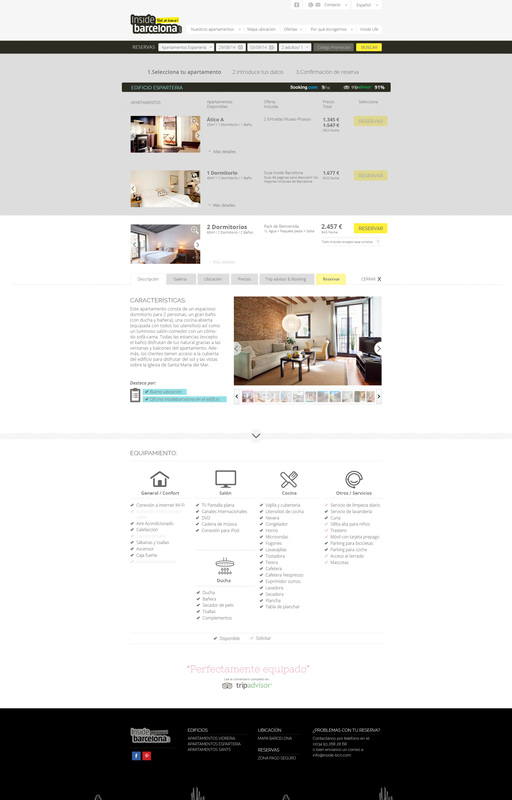 A complete website that uses a simple navigation allows you to book in fewer than 2 clicks. If the user wants an additional information, they can navigate through the panels to find personalized recommendations. Through a palette of complementary pastel colors, we manage to transmit an urban brand that is alive.